I saw over 300 films in the span of 2012, starting with a rewatch of Jean-Pierre Melville’s Le Cercle Rouge and as of last night, my second viewing of Erich Von Stroheim’s Greed. Of those, less than a third were from the year of 2012. While there were certainly plenty of great works of cinematic art that are worth your time, I retreated from the multiplex and even the art house to the hollowed grounds of repertory cinema instead. No one has a perfect knowledge of the history of cinema, and any film critic has his or her own “blind spots.” I don’t see that as a bad thing though. Why would anyone want to have seen every movie? I’d rather have new discoveries to be made every year that open up new terrain to be explored. The 100 (yes—100!) films I’ve highlighted in this list fascinated me in so many different ways. And even better, most I saw on 35mm, a practice I have argued for again and again (though really something you can do in a handful of cities). While some of my choices for films I saw the first time in 2012 are damningly obvious, there’s a reason they are obvious, canonical works. If my 2013 year of cinematic viewing (get ready for the Kiarostami Koker trilogy on February 10th at Film Society everyone!) can come even half as good as the year of film 2012 ended up for me, I’ll be a very happy camper indeed. Thus, I present the bottom 25 below, with the top 25 to come later this week. UPDATE: Follow here for the Top 25. I had a number of run-ins with W.C. Fields this year, perhaps the greatest of all early sound comedians. In many ways, Fields’s gags are meant to overwhelm the spectacle of the narrative, but working with former Buster Keaton director Cline here, he finds a balance between a silly but propulsive narrative that seamlessly brings together its various impulses. Fields plays a supporting role in this oddball comedy about a bankrupt country that has a surprisingly athletic population, which is full of surprising gags. Call Monsieur Boudu the antithesis to Chaplin’s Tramp—a home-wrecker, both literally and metaphorically. 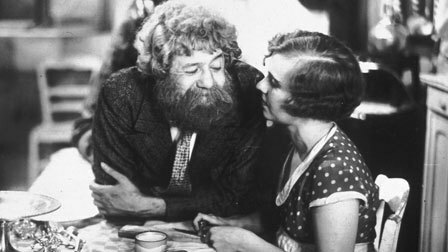 Renoir’s early comedy might be one of his most cynical works on the human spirit, as Boudu becomes the pet project of a family instead tears them apart. All of Renoir’s films have comic moments, but Boudu Saved from Drowning is probably his most overt, and in many ways his most human about how everyone has their flaws, but few express them so overtly. Another film about a family torn apart by their misconceptions, but as this is Bergman, those misconceptions are less personal and more spiritual. The film gives us four characters who all have their faith tested: that the world is naturally good, that the world will rectify those who are ignorant, that the wicked deserve to die, and that one must put their faith in God. 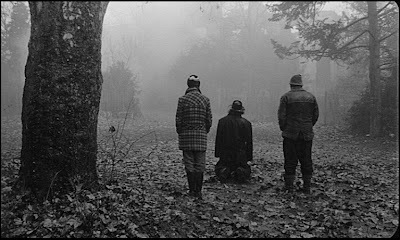 These are not new themes for Bergman, but every scene is tense and ultimately devastating as each person is tested, shot in beautiful black and white compositions, and presenting us with one of Sydow’s most haunting performances. Mogambo might not be one of John Ford’s most interesting narratives—it’s a three way romance between Clarke Gable, Grace Kelly, and Ava Gardner set on an African safari—but it’s one of those films that exposes how amazing a director can be whatever his material. As I wrote back in July, Ford is a master of compositions and color, and it’s apparent in every frame here, as each shot speaks volumes for what the characters aren’t saying. It was Mogambo I was thinking of when I saw Spielberg’s Lincoln. It might not be what the director is used to in terms of visuals, but it sure does show off their pure cinematic talent. There are three types of film noir directors: extreme expressionists like Fritz Lang and Robert Siodmack; social realists like Sam Fuller and Jules Dassin. And then there are the surrealists. Detour is closer to something like Un Chien Andalou than anything else, and for 70-odd minutes, Edgar G. Ulmer takes us on a bizarre adventure of a tormented psyche, where the only elements that make sense are that Tom Neal’s mental state has no center at all. Two more Ulmers made my Top 100, and deservingly so; the man works in pure cinema more than actual narratives, more interested in creating haunted dreams that corresponding to reality. There’s a reason Mike D’Angelo thinks this is a perfect comedy, and Seven Chances is almost subversive in how easily it lulls you into thinking Keaton has become a full on master of the tradition of genteel comedy. And thus, as the brides fill the screen in the exact middle half of the film, Keaton’s explodes this very standard comedy into a brilliant reversal of both gender roles as well as the style of comedy. The boulder gag becomes the complete apex of the slap-stician’s career: literal object attempt to destroy him as he races toward his goal, as if to create a chase of pure representation. Ah Jerry Lewis! Who would’ve thought how funny I would find you? It’s easy to see why non-Americans can appreciate Lewis so much: his comedy isn’t based on dialogue as much as it is on his delivery of complete nonsense. His body is incontrollable and the humor develops out of its extreme lack of it. I saw a handful of Lewis comedies, but his final one with Frank Tashlin and Dean Martin might be his best, perhaps because Shirley MacLaine might out-Lewis Lewis in one of the funniest musical numbers put to screen. Mike Leigh is perhaps tone of the best preceptors of human happiness and our capabilities to have it or not. Like almost every one of Leigh’s films, Life is Sweet is deceptively simple: a comedy about twin sisters—each on the opposite side of the spectrum—and the daily trials of their family, each one a better performance than the next (how do you single anyone out in a Leigh ensemble?). But underneath the broad humor that populates the exterior is a ambivalent appreciation for those who can live so easily, and sympathy for those who try so hard to find a way to relate to the world around them. I have still yet to see a Leigh film I didn’t highly admire. I doubt that will change. Another directorial discovery, Zhangkie’s sprawling epic has perhaps one of the best premises ever: a human drama set in an amusement park that is supposed to represent different world landmarks, even though none of them are the actual objects. No country has so vastly changed due to cultural and economic impact of the global world than China, and Zhangkie captures that so wondrously through his long takes and his brutal drama, which captures both the wonders and pains of communication in a global network. As the screen goes to black at the end, a character tells us that this is only the beginning. It is a sign for both the characters and the audience that our world will never be the same. I’ll have much more to say about Elaine May later in this list (only her last film, Ishtar, failed to place in the top 50—it’s below in the bottom 50), but The Heartbreak Kid is truly her picture despite Neil Simon’s insistence on having only his words be spoken. Transforming gender stereotypes into extreme caricatures, May finds sympathy under her grotesque creations, except for the awful human being played by Charles Grodin at its center. Almost like a response to the Philip Roth novels of young Jewish men finding their way in American life by rejecting the past, the final shot of this offers the ultimate question of masculinity: what are you searching for really? Do you even know? In which the Tramp examines, questions, and ultimate celebrates his own Tramp-ness. Although he is never truly the Tramp, who when off into the sunset in Modern Times, there’s no mistaking Chaplin here attempting to revive his character for one more time in this highly autobiographical film. The tragedy of his past, and the redemption of his legacy, and that final act with Keaton is simply sublime. 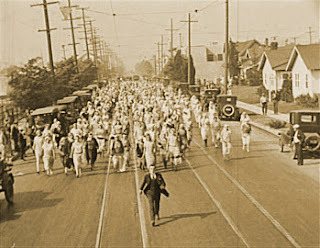 I wish I could say more, but the film so wondrously speaks for itself, even if he is best known as a silent comic. 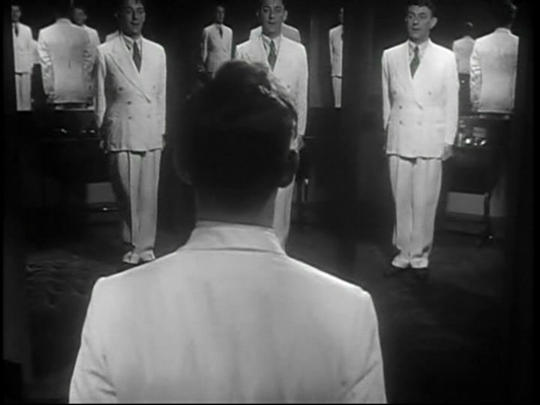 A stunningly sly satire on humanity’s relation to science and technology, The Man in the White Suit is hilarious in its depictions of how shallow every person is to the progress of humanity when it means their current way of life may change. But even beyond the satire of labor relations, Mackendrick is simply a director who knows where to put the camera for maximum comic effect, and how to design a sound gag for an even funnier effect. With Alec Guinness’s ever-so-charming performance (and that dazzling white suit is a perfect visual joke too), the director turns in a very profound comedy that almost has more to do with our moment today than it did in 1951. No one needs me to tell them that Renoir’s humanist WWI drama is a masterpiece, but what makes Grand Illusion such a stunning work of art is how many different films it has contained in it, while always keeping its core tenants about the possibility of seeing the other as oneself in central focus. Part comedy, part romance (one between a man and a woman; another between two men), and part prison escape film, Renoir naturally flows between it all. The last moment is a lie—they can clearly shoot into Switzerland without getting in trouble—but it is the lie that even in the cruelest of places and situations, perhaps we can retain our natural goodness. There’s no questioning that Henry and Henrietta make the perfect couple—it’s right there in their names. Whatever was lost in Elaine May’s legendary three hour cut of A New Leaf almost seems irrelevant, given how damn funny and insightful the cut have today is. Walter Matthau and May electrify the screen with their truly awkward performances that always mine new humor out of the most simple of scenes. As much as Henry wants to see Henrietta as an object that can be controlled (“Now take your arm out of the head hole”), May turns this from a comedy of degradation to a comedy of embarrassment, in which we find the humanity in Henrietta, as well as Henry. Black ending not necessary—May’s debut feature is still a delight. Leo McCarey’s truly heartwarming comedy about a British servant who finds himself a somebody in America might be reduced to almost propaganda, but the fact is this is a film that truly believes in the American spirit in a way Capra never came close to (and he always undercut his films anyways). Charles Laughton’s turn as Ruggles is littered with wondrous moments as a Brit discovers a world he never knew, and yet this cross-cultural comedy never reduces itself to simple broad humor. If you are in need of a new July 4th movie, this is worth it for Laughton’s stirring rendition of Gettysburg Address. A Separation came an international art-house hit last year, as Asghar Farhadi made a stirring, morally ambitious drama of class and religious tensions that never simplified itself once. About Elly, his previous film, which has never been theatrically released in the States, rivals the power of A Seperation. It might even be better. I’d rather not say too much about it, but it’s a human drama about complicated legal and moral dilemmas that never offers easy solutions to another truly impossible conundrum, and shows the dangers of the path of so-called good intentions. As a French director essentially remaking Truffaut’s Day for Night in the 1990s, Oliver Assayas understands the entirety of what it means to be a director during such a moment. 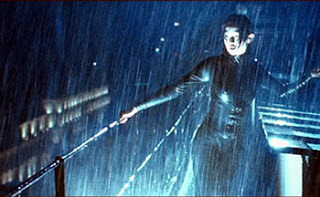 Yet instead of setting the film through his own eyes, he turns it to his star: international superstar Maggie Cheung, playing herself in what will become a remake of Les Vampires. As Assayas sees it, he struggles not only with the international impact of film—communication and miscommunication are common motifs throughout, but the historical giants that came before him. But Assayas transcends in his inability to “complete” the project; he gives into his sensual side, the love of the image, and by the end, its failure to properly represent. Sometimes, a failure of representation is all one needs to create great cinema. I watched 10 films by Robert Bresson this year, finally attempting to get on his wavelength. His films are austere, his acting reduced to pure text, and his cinematic pleasures the opposite of many of his contemporaries. It can take a couple films to find your way into an appreciation of him (I hope to return to Balthazar again; it was the first I saw this year), but once you do, the pleasures are endless. That is certainly on screen in his prison escape film, simply titled A Man Escaped. Imagine if The Shawshank Redemption was Andy digging with a spoon the entire time. Unlike some of the more cynical works Bresson would later make, A Man Escaped is a testament to the human spirit. With its barren lack of contextualizing this man’s journey, it becomes one of spiritual escape, and a masterful one at that. Dead Ringers is a testament that not every filmmaker who goes from making genre flicks to “serious” films is compromising their art. I found who claimed there was never much Cronenberg in A Dangerous Method completely shallow in their statements—they only need to look at the strange tale of twins Beverly and Elliot to find the relationship. Cronenberg’s love for the truly dueling psychologies of these interconnected persons make for intense, garish drama, full of truly bizarre horrors, both audible and visual. It’s perhaps Cronenberg’s most Cronenbergian film, most notable for how seriously it takes its horrors, turning what could have been schlocky melodrama into the highest of tragedy—a testament to the director’s invetment in how the body changes the mind, and visa versa. Another director (or in this case, a pair) that I had ignorantly never caught up with till this year, the Dardennes brothers stunned me with their commitment to realism in a way that other directors can’t even handle. Treating the camera as only a partial document (the amount of off screen sound in their work is a future video essay I hope to do), the Dardennes find incredibly intense and harrowing dramas in the most ignored of places. In their debut narrative feature, it’s the vision of tough moral choices that must be made, leading to a climatic shot that ripped my heart out. Because the visual look and aesthetic commitment is so lived-in, none of these choices, as melodramatic as they can be, even begins to ring false. If A Man Escaped showed Bresson at his most revert and belief in the human spirit, The Devil, Probably remains at the complete opposite of the spectrum. In many ways, the new Oliver Assayas film, Après Mai, is a companion piece, as Bresson shows a series of failed-revolutionaries attempting to spur change, but falling back into their primal emotions. These kids act cynical and sell a big game, but their actions are ultimately meaningless. The final decision of the protagonist says it all—the only change one can make is that of oneself. Yet another director who was a blind spot until this year (and luckily I only have one left to see from his enigmatic career), Terrence Davies might be the most British of all British directors. His documentary tone poem Of Time and the City is a perfect companion piece to Guy Maddin’s My Winnipeg, or even Terrence Malick’s The Tree of Life. It’s full of exuberant nostalgia for an earlier time, capturing both the spirit of the city as well as a young lad. Where it is personal, it finds the universal, while the universal finds the personal. It’s a magical tour through time, and narrated by Davies, it’s the best type personal filmmaking—not the last of his to make this list. Once Upon a Time in Anatolia has become a critics hit this year, but now having seen Ceylan’s breakthrough film, I much prefer the intense, minimal, high-impact drama of this digitally shot masterwork. While the stakes are much lower in Climates (at its most elemental, it’s a break up film), the rewards are much greater, as Ceylan takes us through a couple’s turmoil through the Turkish environment. Overbearing sunlight, rough winds, chilly snow, and crass sand speak for the feelings of a couple that can barely communicate to each other, leaving us with a narrative of human complexity. I do love plenty of Anatolia, but I prefer Climates more relatable drama, as it takes us through a story we’ve all been through, but never captured so brilliantly by external forces acting the psychology of the characters. One of my favorite series at Film Forum this year was their huge selection of Spaghetti Westerns. If you are a casual cinephile, you’ve probably seen Leone’s Dollars trilogy with Clint Eastwood, but that doesn’t even scratch the surface of the bold work out there. My favorite discovery was Django director Sergio Corbucci’s cynical take on the power of capitalism The Great Silence, starring two of my favorite actors of all time: Jean Louis-Trigtinant and Klaus Kinski. While completely incidental, the film’s relation to a certain Vietnam event give this film an arsenic edge by the end, but even without it, it’s a commanding and thrilling portrait of a society on the edge where every person of power is someone who can’t be trusted. 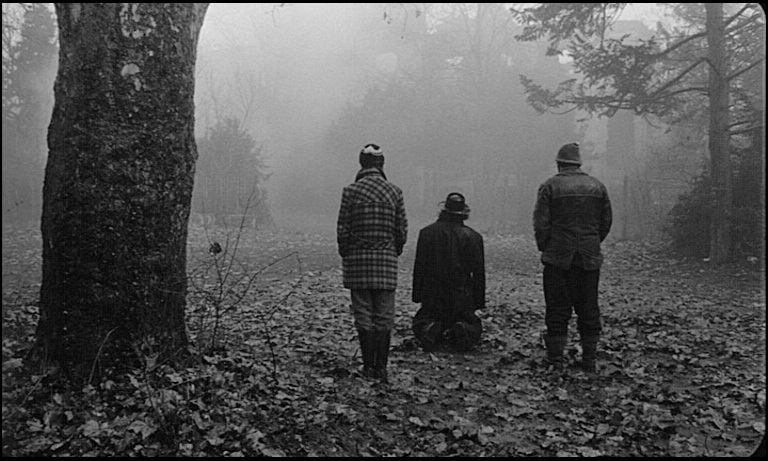 Beyond the long takes, the stunning black and white, the elongated scenes that extended for 30+ minutes, and the cynical attitude toward any possibility of redemption, is the absolute magisterial command of Béla Tarr in Sátántangó. Running just over seven and a half hours, Tarr allows you to breath in his worlds and make you a part of them. This narrative network of a small community that is duped by a Christ-like figure captures the ultimate search for meaning. What are those cows up to anyway? The final image might seem like Tarr’s final nihilistic note, but in many ways it is his truth in something beyond sight and feeling; by closing ourselves to the world, we find truth from within. Look for the top 25 later this week.